We are currently advertising the following three 4-year PhD positions for our lab. The funding covers living expenses and UK/EU fees over four years and, using overseas research studentships, potentially also the higher fees for non-EU applicants. Students are chosen in competition with students who choose projects in other fields, which means that we would particularly encourage strong applicants with very good academic marks and previous research experience to apply. Within this project, a student will help to develop detailed simulations of brain network development. In addition, the student will test the performance of the grown networks on visual tasks. Through this, we will investigate (a) how developmental mechanisms are linked to the resulting topology and (b) how the resulting network is linked to processing performance. As a result, we will get a better understanding how changes during development are linked to brain architecture and how they can lead to cognitive deficits. In this study we will investigate the impact of simulated brain lesions using human brain connectivity data and computer simulations. We shall aim to produce biomarkers for patient outcomes. These techniques may hive wider applications in stroke, multiple sclerosis and ageing. There are currently 12 faculty members with a link to neuroinformatics and computational neuroscience. 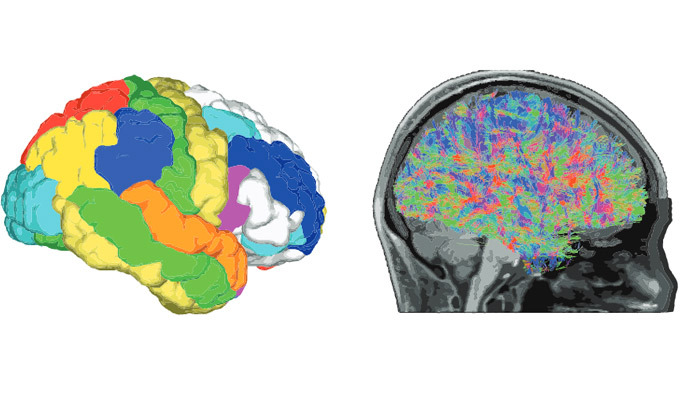 Using computational models for clinical applications is a strong interest of our group (see http://neuroinformatics.ncl.ac.uk/ for an overview). Students will be based in the School of Computing Science, which was ranked #9 for research and #1 for impact in the recent UK Research Excellence Framework evaluation, as part of the ICOS Group (http://ico2s.org/ ). They will also be affiliated with the Institute of Neuroscience which integrates more than 100 principal investigators across medicine, psychology, computer science, and engineering and which was ranked #9 overall and #5 for impact in the UK (http://www.ncl.ac.uk/ion/). Newcastle University, with 20,000 students, lies in the city of Newcastle-upon-Tyne — an area in the North-East of England with around one million inhabitants. The university is at the centre of Newcastle which itself is on the main train-line between London and Edinburgh, 20 minutes away from both the airport and the sand beach by public transport (http://www.ncl.ac.uk/about/visit/city/ ). A computer model that identifies the parts of a person’s brain responsible for epileptic seizures could be used to design personalised surgical procedures, researchers say. Scientists at Newcastle University have used brain scans from patients with the most common type of epilepsy – temporal lobe epilepsy – and computer modelling techniques to look at the brain as an example of a computer network. By simulating brain activity within each patient-specific network, they successfullyidentified regions that were more prone to seizures. The research is published today in PLOS Computational Biology, and is believed to be the first study to combine computational modelling of brain dynamics with patient-specific MRI data from individuals with temporal lobe epilepsy. Around 1% of the UK population suffers from epilepsy and, in many cases, it is an extremely debilitating illness. Currently, anti-convulsant drugs are the main treatment but these are not always effective. In these cases, surgical removal of the parts of the brain indicated by EEG readings to be the source of the seizure is carried out. However, in about 30% of cases, surgery does not result in preventing seizures. The research team, based in the School of Computing Science at Newcastle University, simulated surgery by disconnecting sections of the network that corresponded to the parts of the brain most commonly removed. They also ran individual patient simulations, removing the most seizure-prone parts of the model for each person. By mimicking seizures before and after ‘surgery’, they found that patient-specific surgery showed, in every case, a significant improvement compared to removal of the regions most commonly taken out. Dr Peter Taylor, who co-led the study, explained: “This research may help to explain why surgery is so often unsuccessful, as this work predicts that the areas most commonly removed in surgery are not always involved in starting and spreading seizures. Reference: Hutchings F, Han CE, Keller S, Weber B, Taylor PN, Kaiser M. Predicting Surgery Targets in Temporal Lobe Epilepsy through Structural Connectome Based Simulations. Find out more about the research from the University press release, and at ChronicleLive and also YouTube.